With mustard makers present, mascots walking amongst us, games in full swing, live music rockin’ the streets, and TONS of mustard to go around, it was an event for all ages and it didn’t disappoint. A sun-splashed Saturday afternoon in Middleton was without question the place to be in Southern Wisconsin. Thank you so much to our sponsors, especially French’s and Vienna Beef. 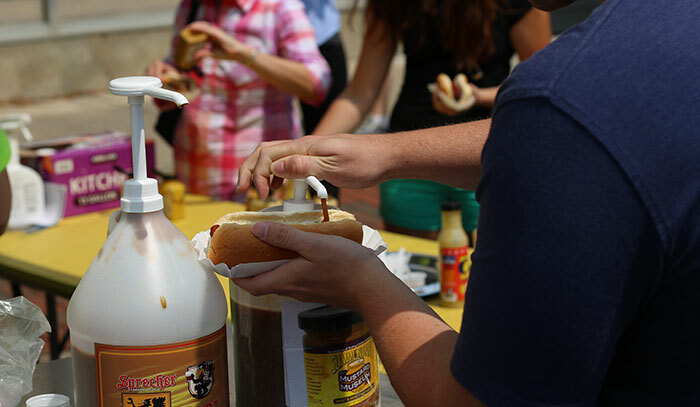 Their contributions were instrumental in National Mustard Day carrying on the tradition of the world’s premier condiment street festival. Until next year… viva las mustard! This entry was posted in The Curator's Curiosities and tagged mustard day. Bookmark the permalink.